Raila Odinga’s supporters in the Diaspora have raised over Sh2 million within a week to boost the former Kenyan Prime Minister’s election campaign kitty following the establishment of a Gofundme account. GoFundMe is a crowdfunding platform that allows people to raise money for a variety of causes. Kenya Satellite News Network (KSN) learnt that NASA supporters – mostly from the United States – had raised $18,895 (Sh 1,927,290) by Sunday evening (EST). The coalition’s Diaspora committee, led by Ms Debra Akello of California, had set a target of Sh 5 Million for the demographic. Through the campaign, which is likely to raise more, Kenyans in the Diaspora are requested to make their contributions online at www.gofundme.com/for-the-change-we-want. Although the service is not available in some parts of the world, it is popular in the US and some other developed countries. Soon after the fund was set up, the first donor, Dan Mugubi, contributed $1,000 (Sh 100,300). Last week, Mr Odinga made a public appeal for well wishers in and outside the country to come to his aid. 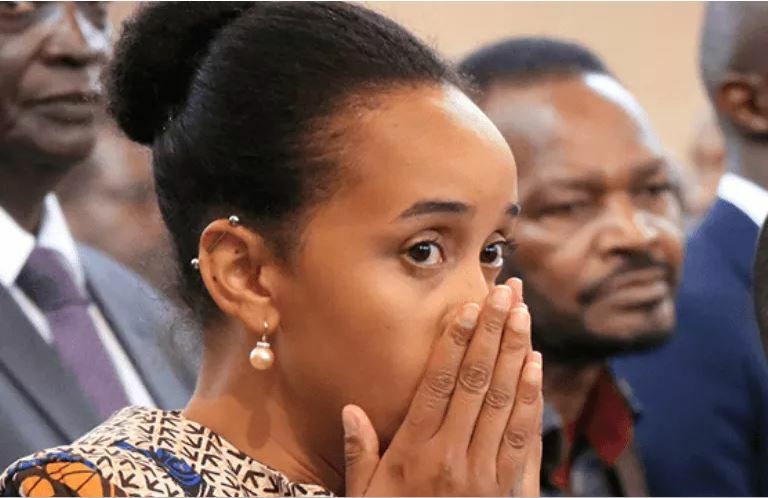 In a move that has been criticised by som people, Raila, accompanied by his running mate, Kalonzo Musyoka, asked well wishers to contribute to the kitty through Pay Bill number 991444. Odinga is facing President Uhuru Kenyatta in a repeat poll slated for October 17, after the August 8 vote was nullified. Uhuru’s win as announced by IEBC was anulled by the Supreme Court, the highest court in the land. On Sunday, while speaking in Machakos, Deputy President, William Ruto made fun of the duo. “Kwa nini mtu wa kitendawili anabebesha kalonzo Musyoka bakuli ya kuomba msaada?” Wondered Ruto. On social media, Kenyans were divided on the issue. Some expressed support for the initiative while others castigated the move by the former Prime Minister. Leader of the majority in Kenyan parliament Aden Duale on Friday told Kenyans not to donate towards the cause. “He’s just fleecing his supporters. There are people who use the elections to make money. They don’t go to elections to win,” Duale said. Duale challenged Raila and his running mate Kalonzo Musyoka to – instead of asking for maoney – traverse the country in search of votes. However, Mr Odinga has defended the fundraiser arguing that even Jubilee raised money for the campaigns. “Si walifanya harambee na kuokota shilingi bilioni tano kwa muda wa masaa mawili pale Safari Park Hotel?” asked Odinga while on the campaign trail on Sunday. NASA announced Sunday that it was recruiting over 40,000 agents in preparation for the repeat poll although the coalition still insists that key changes within the electoral body, IEBC, must be carried out before they can participate in the presidential election.